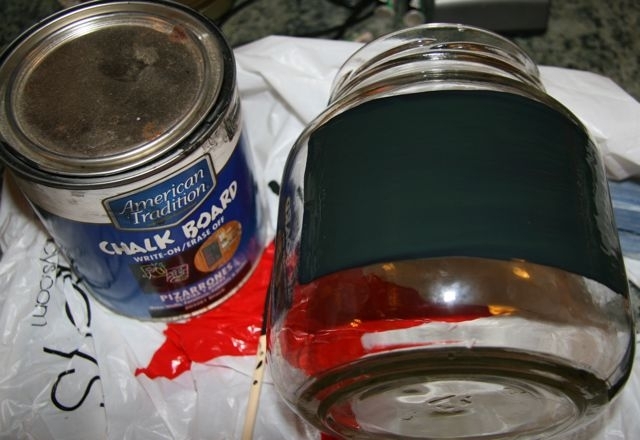 I saw this in my friends kitchen, she had 3 jars that had chalk board paint squares on them that she bought from Ikea. You could fill them with whatever you wanted and just write the name of the product with chalk on the little square. So I figured it couldn’t be that difficult to do, could it? Usually when I say that it turns into a project from the pits of hell but much to my surprise it wasn’t – In fact this was the easiest project I have ever done. 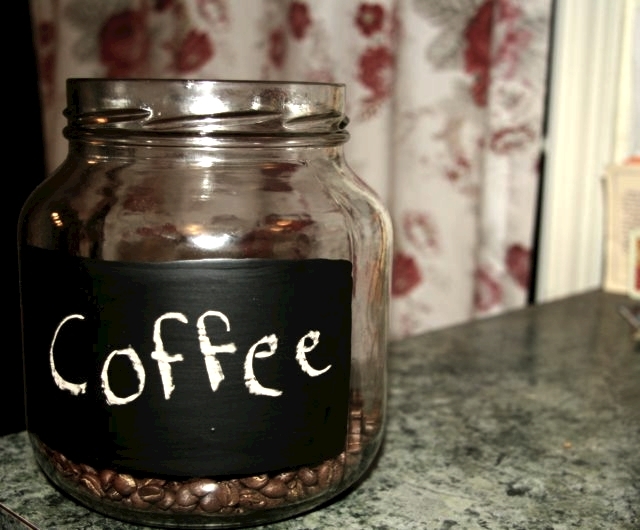 I’m looking forward to doing this with more jars, even filling them with gifts for Christmas. This was formerly a jar filled with mango slices - perfect size for storage. I didn't tape it off cause I didn't want perfectly straight lines. Simple! Fill it, write the name and your done! 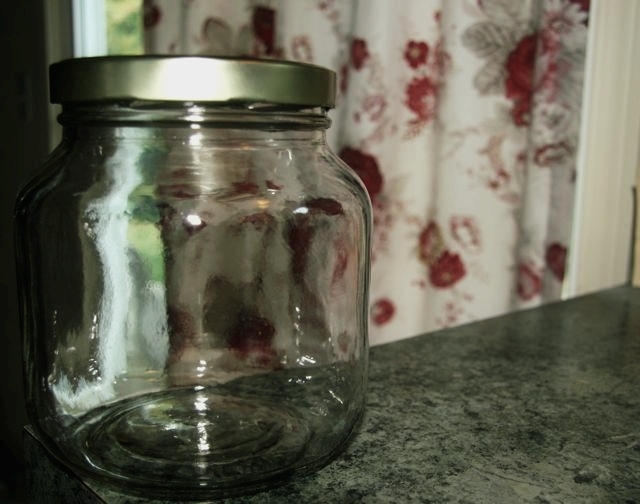 This is a great way to recycle old jars. You could use these all over the house, kitchen, bathroom, kids rooms, there are so many possibilities. This entry was posted in DIY, I made this!, recycle, tutorial on October 19, 2009 by Deanna. I love this! Totally on my list of projects!